I want to say that I continue to be amazed at the changes in Jesse. Dr. Steve Gallop began having vision problems as a young child and started wearing glasses in third grade. He went to the eye doctor at least once a year and each time ended up with stronger glasses. Doctor after doctor simply ignored the visual conditions causing his learning and attention problems, and his progressing nearsightedness (myopia). The real issues weren't diagnosed until much later when he finally saw a behavioral optometrist - at age 30. Unfortunately, this is all too common. Dr. Gallop knows what it's like to struggle with visual difficulties and how behavioral optometry and vision therapy can help. Behavioral Optometry is based on the understanding that vision is much more than simply having healthy eyes and seeing clearly. Vision is a complex and dynamic process that develops throughout life. The visual process is pervasive in human behavior and development. The primary purpose of the visual process is to guide our actions. We depend heavily on the visual process to derive meaning from and interact with the world around us whether it be for reading and learning, working to earn a living or for sports and recreation. 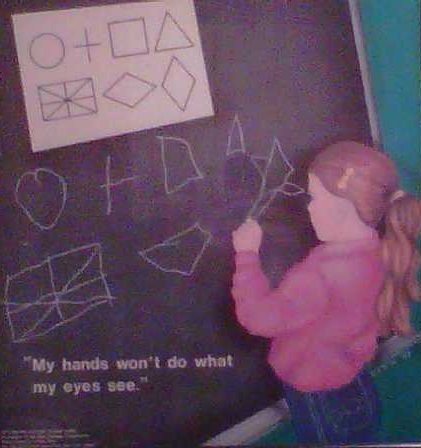 Appropriate visual development and good visual abilities (eye movements, eye teaming, focusing and peripheral awareness) maximize our potential in activities like reading, writing, working at a computer, arts and crafts, driving, and all types of recreational activity, including professional sports. Any disturbance in the visual process negatively affects our overall performance and eventually our comfort. Some people handle these difficulties better than others, but less-than-optimal performance is almost guaranteed when there are untreated visual deficits. Disturbances in the visual process are unlikely to simply go away with the passage of time. They can usually be eliminated with proper lenses and vision therapy. 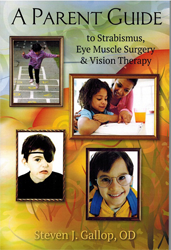 Vision therapy is safe and effective for treating all types of visual difficulties at any age. Dr. Gallop's patients currently range between the ages of 2 and 96. Most eye exams cover little more than clarity of eyesight. What very few doctors understand is that clear eyesight is actually the result of good eye movements, eye teaming and focusing, not the other way around. Behavioral optometrists can provide unique insight into the developmental status of the visual process by carefully assessing all aspects of the visual process. The visual process is learned, and develops throughout our lives. This means that problems can occur at any time depending on our demands and how well our visual process has developed. This also means that improvement can be achieved at any age especially with proper lenses and vision therapy. You will probably be surprised to learn that lenses can be used to improve your visual performance in ways other than just making things look clear. Behavioral optometrists are experienced in using lenses to reduce stress, increase stamina during visual tasks, eliminate headaches and other visually related symptoms. Lenses can also be used to help stimulate visual development and therefore overall development. Dr. Gallop has a unique approach to using lenses for many therapeutic purposes, including myopia reduction and preventing the need for strabismus surgery (eye muscle surgery). Many behavioral optometrists prescribe lenses that can prevent visual difficulties from happening in the first place. Dr. Gallop’s visual evaluation explores how people use the enormous potential of the visual process to meet the demands of their daily lives. 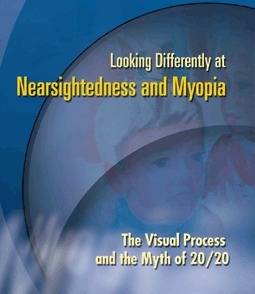 Visual enhancement can be achieved by the use of therapeutic lenses and/or vision therapy. Vision therapy is a non-invasive, dynamic and interactive process. Vision therapy provides the proper conditions and the proper environment to enable people to observe, understand, and modify visual performance to their advantage. 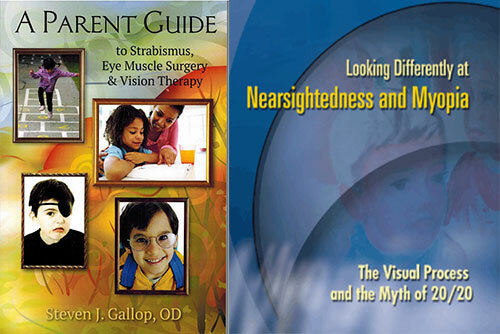 Dr. Gallop has 30 years of experience providing therapeutic lenses and vision therapy to people of all ages for visual issues related to myopia reduction, strabismus, amblyopia, lazy eye, learning problems, computer vision syndrome, concussions and and other acquired brain injuries, as well as children with autism spectrum behaviors and other developmental differences. Vision therapy and therapeutic lenses can help improve visual performance and comfort. Dr. Gallop believes vision therapy is too important to be done by a therapist and does all vision therapy personally with every patient. Contact Dr. Gallop in Broomall, PA for more information about behavioral optometry, vision therapy, myopia reduction, strabismus surgery and developmental vision care. 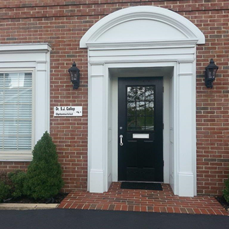 Dr. Gallop practices in Delaware County at 7 Davis Avenue, Broomall, PA 19008; conveniently located for those in Ardmore, Bryn Mawr, Rosemont, Villanova, Radnor, Narberth, St. Davids, Wayne, Paoli, Devon, Berwyn, Newtown Square, Haverford, Havertown, West Chester and Philadelphia. Dr. Gallop also sees many patients from Delaware and southern New Jersey.